OverviewSeekers of the highest possible performance in their vehicle should look no further than Alfa Romeo Westlake near Los Angeles, California. Our Italian-inspired vehicles are second to none when it comes to cruising the California coast in style. With the Alfa Romeo Giulia, you'll find yourself in a state-of-the-art four-door, with equal parts performance and comfort to help you get from A to B in style. The Alfa Romeo Stelvio is a roomy SUV that is ideal for carting around the entire family. There's also the Alfa Romeo 4C Spider, the perfect sports car that exudes European style. Visit our Alfa Romeo dealership near Los Angeles, CA today to learn more and explore our entire Alfa Romeo selection. 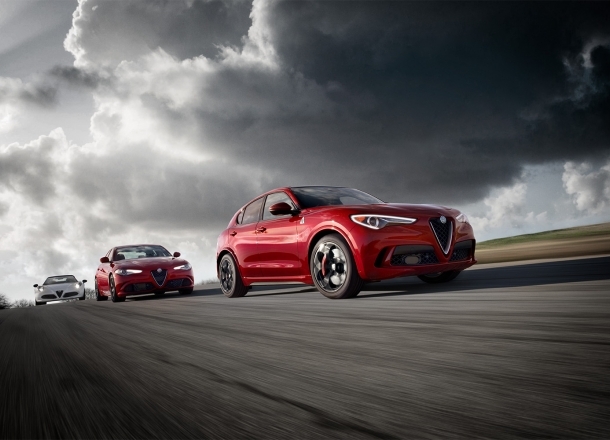 Lease a new Alfa Romeo model at your local Los Angeles, CA dealership. At Alfa Romeo Westlake w offer more than a great selection of luxury vehicles. With help from our capable sales team, you’ll be able to tour the lot and find an Alfa Romeo car ideal for your lifestyle. Curious about our financing offers? From trade-in assessment to loan options, our seasoned team will walk you through each step of that process. Visit our Alfa Romeo showroom near Los Angeles, CA today to learn more and schedule a test drive! Long after you leave our lot, Alfa Romeo Westlake will ensure your vehicle is taken care of. From oil changes and tire rotations to engine repair and bodywork, we’ll keep your favorite car running smoothly. Take a peek at our entire list of Alfa Romeo service options and schedule your next appointment by contacting our service team today! We look forward to helping you with all of your luxury automotive needs.